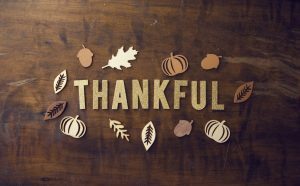 Here at Business Unplugged we are thankful for YOU. We are celebrating the Thanksgiving holiday here in the United States. Enjoy your holiday, and don’t forget to unplug and connect with friends and family.